Gun Boot IV case convenience with Gun Boot III case type mount! Protects your gun and optics on the trail! Includes Gun Boot case and bracket. Removable, shock absorbing foam and nylon Impact liner included. Designed to accommodate left and right hand bolt action rifles and shotguns. Provides ample room for 50mm scopes and even rifles with slings attached or shotguns up to 51" in length. 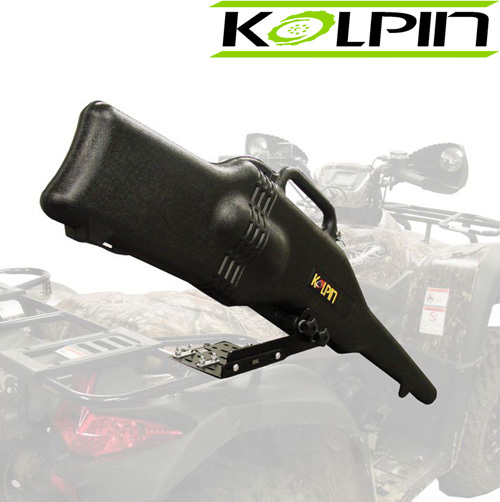 Compact design of this bracket provides for universal fitment to most tubular ATV racks and UTV roll bars. Installs quickly and easily. All mounting hardware included.